For the week of November 15, Capitol Asset Recycling and PC RETRO is offering FREE ELECTRONICS RECYCLING at all of its locations in the Washington, DC area. 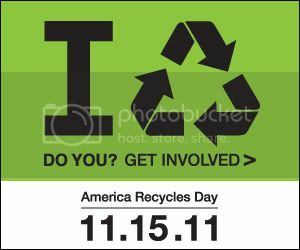 America Recycles Day is the only nationally recognized day dedicated to the promotion of recycling programs in the UNITED STATES. Our corporate customers that are in need of pickups will receive a 20% discount off of regular pickup rates if the pickup is booked in the month of NOVEMBER. Act now, and clean out your old storage facilities, offices and basements full of old and unwanted electronic items. Recycling your old Cell Phone, PDA and Accessories. PC RETRO IS OFFERING CHRISTMAS LIGHT RECYCLING!